Let’s start out with the basics. What are NMAGS? 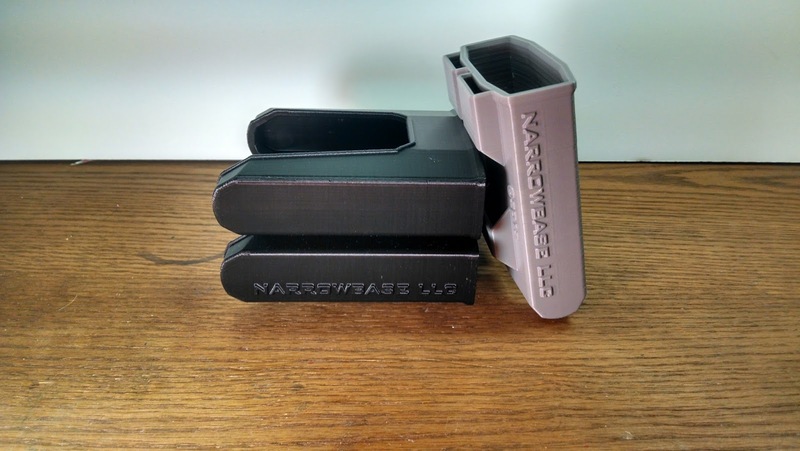 NMAGs are a new 3D printed product created by Narrowbase LLC. 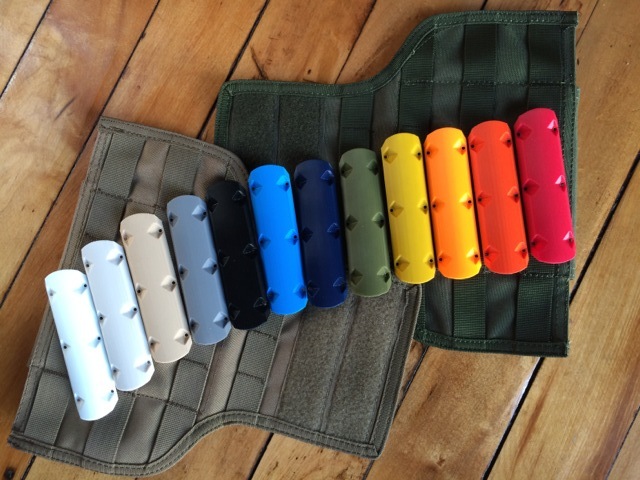 They are a sleek solution to Nerf specific magazine holding capabilities that aren’t well… elastic (*cough* bandolier). But how do they perform, what do they cost, what does this mean to you? Let’s get right down to it, review, rant, pic spam and videos after the break (TL;DR: the last paragraph). ”Poly(lactic acid) or polylactide (PLA) is a biodegradable thermoplastic aliphatic polyester derived from renewable resources, such as corn starch (in the United States), tapioca roots, chips or starch (mostly in Asia), or sugarcane (in the rest of the world). In 2010, PLA had the second highest consumption volume of any bioplastic of the world. Phew, that’s a lot to take in. What does that mean to the consumer? Nothing really, at least nothing that I’ve been able to discern from testing these out. It’s cool that their made out of renewable resources, but other than that I couldn’t tell the difference between plastics if you beat me over the head with PVC. Ok, that might be a bit much, but it’s a hard, durable plastic. I could tell you if it was soft and flexible, or thin and flimsy, but these are sturdy and reliable and we’ve field tested these in quite a few games. 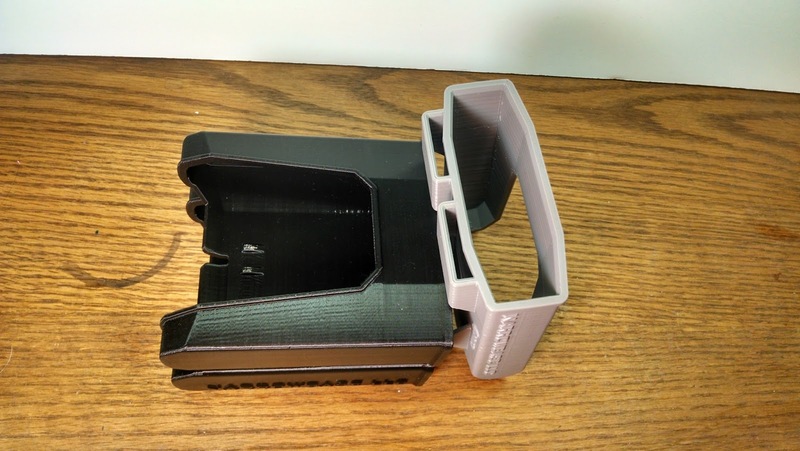 I haven’t found a real difference when compared to some other ABS printed accessories I’ve used. 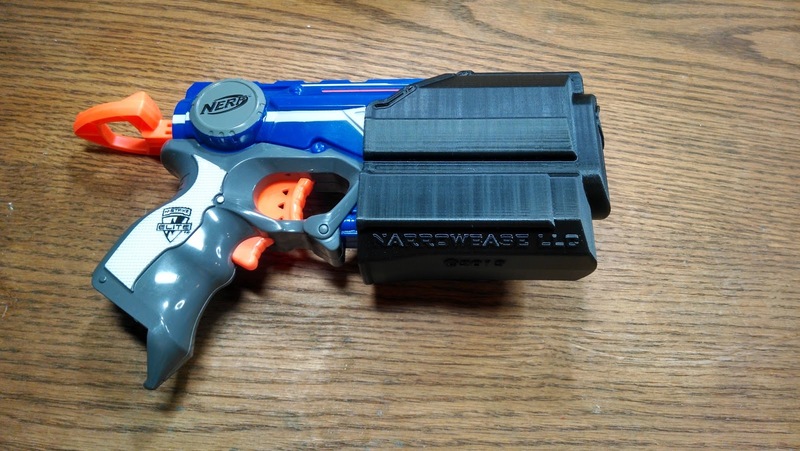 These are probably my favorite non branded Nerf accessory so far. They’re easy to use, come in a variety of colors, allow me to see or feel how much ammo I have left, and are snap fit specifically to Nerf N-strike magazines. Also, they have an option for PALS (Pouch Attachment Ladder System) or MOLLE (Modular LightweightLoad-carrying Equipment) users. In short they’re pretty much everything I could ask for in a magazine retention system. First off, I have to say that offering something like 10 colors is pretty amazing. I know a lot of people want to look Tacticool while they play, but if I can buy my gear in bright colors I tend to take that option. I regularly play at schools, and coming from an airsoft background, want to make sure everything I have makes me as non-threatening as possible. Sure, it might seem like a little thing, but it’s really not. I feel like our ability to play a game of tag with brightly colored blasters and not take ourselves too seriously is something that sets Nerf enthusiasts apart from other combat or milsim sports. That’s why I was so happy when I found out that Blastersmiths offered gear in a variety of colors! These are no exception. There’s still options for those who have gear in more “traditional” colors and want to match, so don’t worry. Next I love the flexibility these things have. Run a belt? There’s a NMAG for that. Running a PALS setup? There’s an NMAG for that. Sure, it’s nothing revolutionary, other manufactures have offered options like this for a while, but it’s cool to see this sort of out the gate compatibility and variety. I would have assumed that out of the gate, we would have seen a belt loop merely to test the waters, but for an independent company, it’s nice to see them debut their flagship product at full force. None of this “it comes in white but we’ll release colors next year” stuff (*cough* Apple). Also, kudos for thinking ahead on how these attach to a PALS/MOLLE setup; it’s something I know I wouldn’t have thought of. I’d have been content just offering a PALS/MOLLE option. Also the Bar sets are awesome, super easy install and removal plus they work with MALICE CLIPs if you already have them. 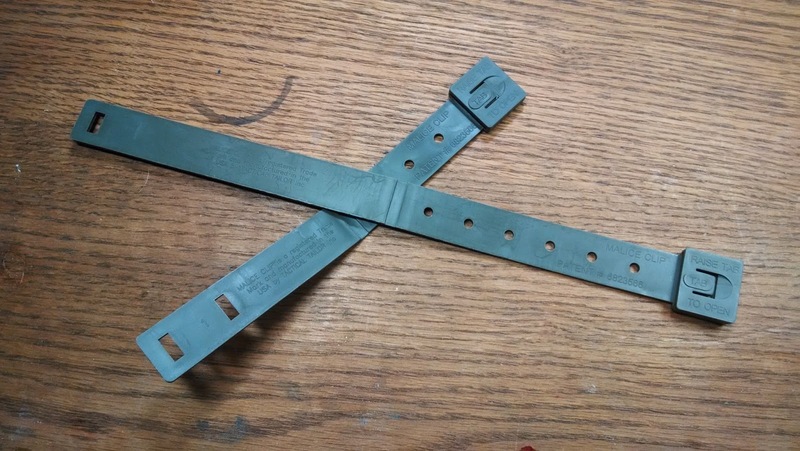 They're like Military zip ties. What am I talking about? 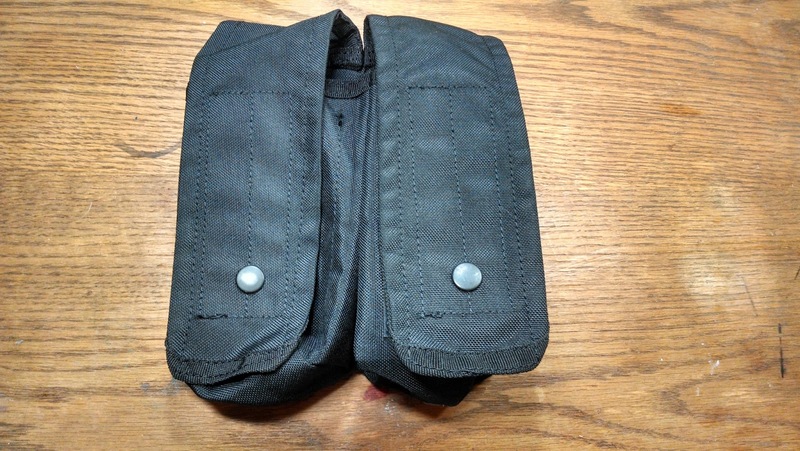 As described in the video below the NMAGs come in a variety of options for attaching to a PALS/MOLLE system. There is a standard PALS with the attachment points in the middle of the back of the NMAG. 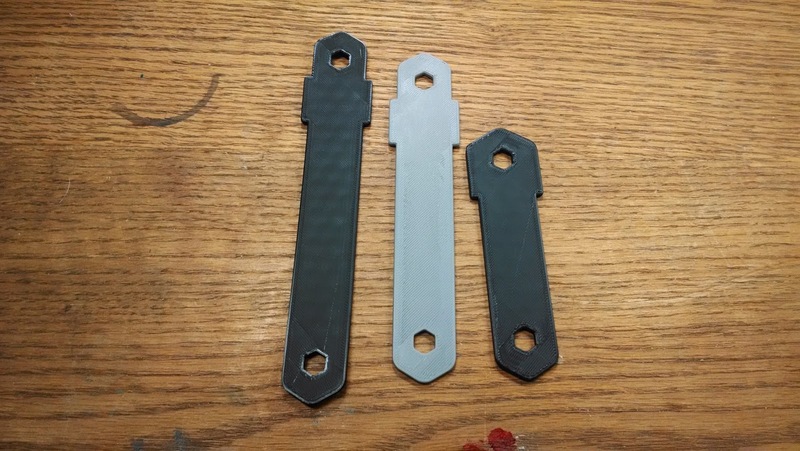 There is a PALS Offset left and a PALS Offset right where the attachment points are on the right and left, so you can place these right next to each other, or another piece of gear on your PALS/MOLLE gear (I know all this use of PALS is getting confusing, sorry). But it doesn’t stop there. The PALS right and left are great if you need these next to each other or other gear, but what about if you want more than two, or you want them next to a normal PALS standard? Enter the SAPI configuration (I know, some of you are cringing right now). The SAPI Offset right or left allow you to place another NMAG to the right and or left of a PALS standard without needing to skip a column because the two are bumping into each other. 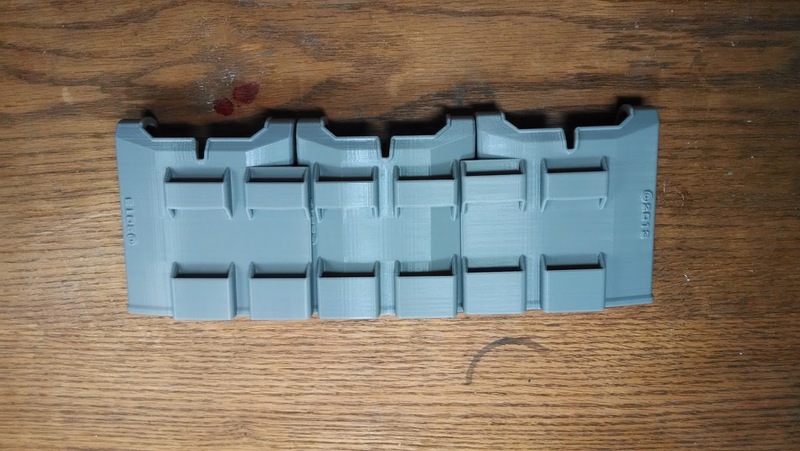 Confusing naming conventions aside, this idea is pretty ingenious, allowing you to get the most space out of your PALS/MOLLE setup and be as economical as possible. On the subject of being more “economical” in terms of real estate, thanks to Coastal Bend Action Sports for calling me out on this, it’s something I completely missed when checking my video for mistakes. The rig I have has 14 columns wide. When I had my double AK mag pouches attached I had them attached from the middle out (since I only have two double mag pouches). I’m not certain if I had them offset to allow for a com pouch or something else, or if I just derped because they’re double mag pouches instead of single mag pouches so I automatically assume they take up four rows. Either way, I completely stripped my rig and counted my columns, and realized I should be able to fit 3 double mag pouches (or two triple mag pouches) on there if I needed to. I apologize if anyone was misled. I misspoke and it was something like 2 in the morning when I was recording that and my brain was baked from our hundred degree apartment without fans and extra lighting turned on for the recording process. I’ve added an annotation to the video to this blog post. There are four lights! Wait.. So yes, with the PALS and SAPI combined they take us as much space as a traditional mag pouch. Still, points to Narrowbase for creating the SAPI offset, because PALS alone would actually be LESS economical than these cloth versions. That’s what I was referring to when I said that these were economical; I actually was referring to using just the PALS version (which was the original design, so right or left or SAPI) which wouldn’t have been able to fit in the space provided. The spaced “saved” wasn’t really supposed to be the point of the video, and was only mentioned because it was something I noticed (albeit erroneously) when swapping things out on my rig. I should have said they are as economical as possible in that configuration as opposed to the non-SAPI option and made it clear I had space left over on either side of the double mag pouches. No misinformation, skewing the facts or other BS intended. I don’t have a stake in this company succeeding other than being a fellow player who thinks this is a pretty nifty product. I try to be fair and honest in all of my reviews, and if this was crap, trust me I’d tell you all. Thanks again to Coastal Bend, and be sure to check out their Gear Up! 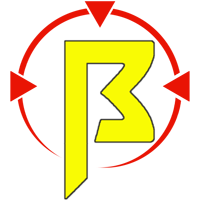 Database for great information on gear, reviews, pricing and more. I’m sure they’ll have updated this with an entry for the NMAGs soon. That wonderful shade of Nerf. Now, there are some things people have criticized these for, first off the necessity of the product itself. I’m not sure I completely understand why this is even being brought up. More choices are good. Competition is good. This is how sports like ours grow and evolve. If the argument is made about what is and isn’t “necessary” then why bother with any magazine pouches at all? I mean, you can always just use cardboard and duct tape right? It’s not like this is a knockoff of an existing product. 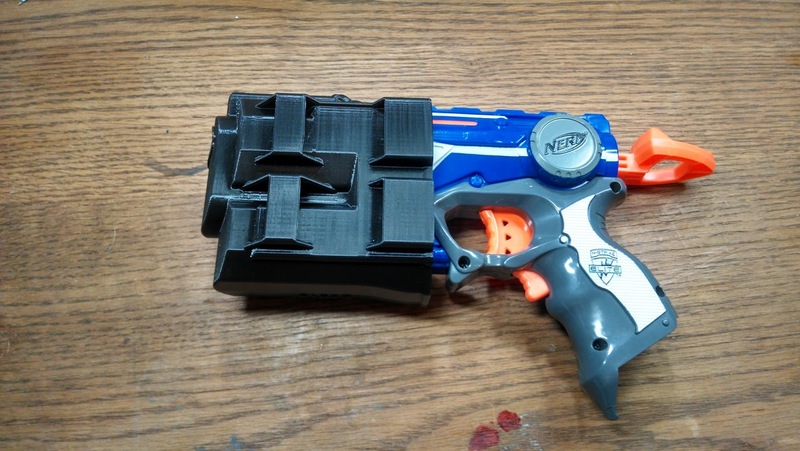 These are a completely unique product designed and built from the ground up completely for Nerf magazines. 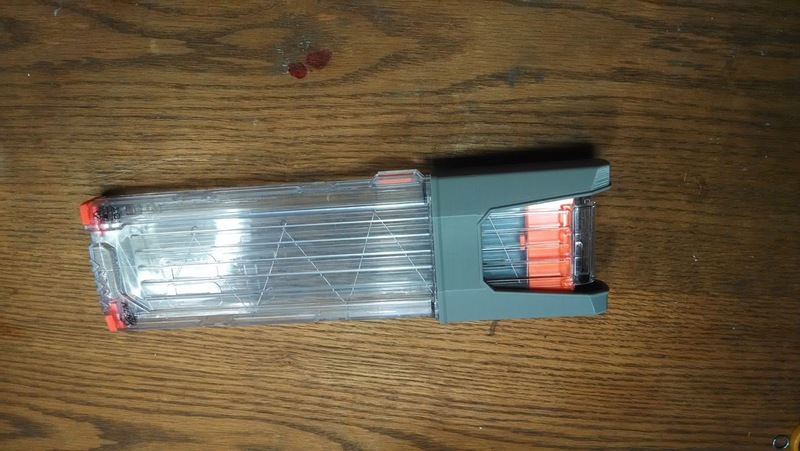 I don’t see anyone telling Blastersmiths “We already have MOLLE equipment, your product is unnecessary.” Heck, Orange Mod Works announced that they would be bringing out their own magazines and holders, but we already have Nerf magazines so they aren’t “necessary”. Blasterparts’ ammo counter is “unnecessary” but that doesn’t mean it’s not worth them putting it into production for those who are interested in such a product. The green brings out my eyes. Necessary doesn’t factor into the equation for me. We’re a small sport and I enjoy seeing it grow and evolve. All of these things are part of that evolution. 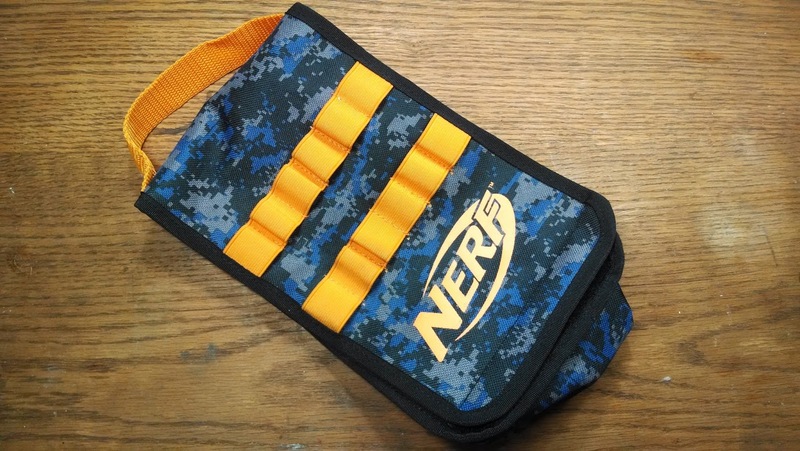 We’ve talked about the desire to see other blaster manufacturers giving Nerf a run for its money, and I firmly believe that competition is good for the sport and keeps things from getting stale. Seeing companies like this create products SPECIFICALLY for our sport is exciting to me. Some people say that we don’t need to reinvent the wheel. I say, where we’re going we don’t need roads. Ok, the second and by far biggest critique is the price. Anything that is a single (only carries one magazine) is $14.99 and anything that is a double (holds two magazines) is $24.99 (plus tax and shipping on either option). Again, I’m not certain I understand this complaint either. Sure, there are other, cheaper options available. I get that. That doesn’t mean that this shouldn’t exist, or that it for some reason should be a direct competitor with other options available. A Ferrari is not directly in competition with a Toyota. They cater to different consumers and so to do the NMAGS. Reload in the pouch if ya want. Listen, anyone can make some duct tape magazines for cheap. You can upgrade to a cloth mag relatively inexpensively. 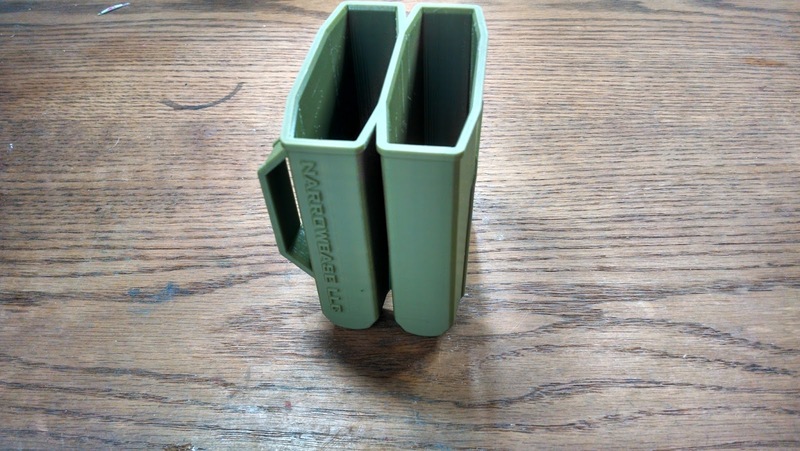 You can even upgrade to a hard magazine carrier. There is nothing wrong with these options, but that doesn’t mean there’s no reason for these to exist. Perhaps I see less sticker shock coming from airsoft. I inevitably spent more money working toward the setup I wanted than I would have if I’d have just bought it outright. Yet still, look at Bazookafied at Tactical Tag; he has a $70+ Tru-Spec XTREME Combat Shirt. It’s awesome, but it’s not for everyone. I myself have run a combat shirt for airsoft and for Nerf, albeit a cheaper version, but my point still stands: these are tailored to a specific playerbase. In airsoft I used to buy real steel accessories, and knew many others who did as well. I understand when people say they can get X, Y, and Z cheaper, but often these are used or knockoffs. Sure, they might work just as well, and I’m not knocking the people that choose to go this route, but I know I get what I pay for. Perhaps that’s why I’m not shocked by the price tag. I’m used to spending that much on a single magazine pouch or accessory if I want the quality I’m expecting. Then again, I’m also the guy that bought real walnut grips for my airsoft CZ. 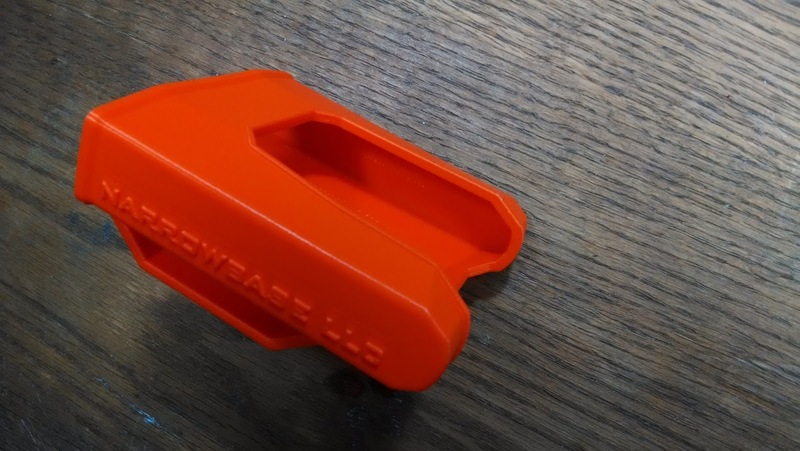 As far as the price goes, these are 3D printed in America, per every order’s specifications. I had an art teacher that once gave me some sound advice about pricing your work. They told me to charge a lot, then when people asked about it, to tell them that it took me a long time to create this piece of artwork. When they inquired further about the amount of time to determine some sort of hourly rate, I should tell them that it took me 20 years. Because you’re not just charging for how long it took to create that piece of work, you’re charging them for a lifetime of experience, the knowledge and years of hard work to get good enough to create that one piece. You could also just use a bag. The same is true for this. Materials cost money, shipping costs money, running a website and even taking money costs money. Add on top of that the hours spent creating, researching, developing, printing out ideas and wasting materials to get a design that worked for us, the consumer to purchase and enjoy. I’d say that this is a fair price. I have no idea how much these materials cost, or how expensive the machine used to print them is, or even how much power it consumes to be able to print these, but I’m pretty sure it’s not pennies on the dollar. Ok, ok, enough ranting, this has gone on long enough. I recommend the heck out of these. 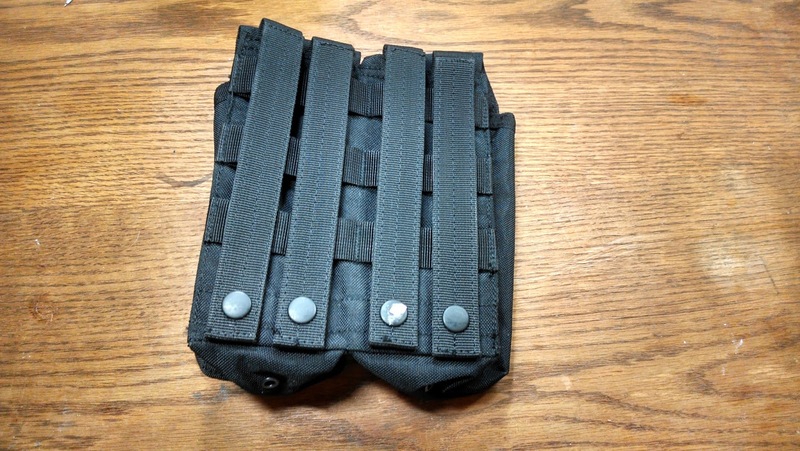 Their snap fit design is great, their streamlined and low profile, and if you don’t like using dump pouches, it’s way easier to swap mags with a system like this. Add on top of that a built to order customizability, PALS/MOLLE compatibility, and colors and you’ve got a winner in my book.